Cape Coral Spas and Salons - Relax, rejuvenate, restyle, and refresh yourself at our best spas and salons. Everyone needs a little pampering every now and then ........... and it's a special treat particularly while you're on vacation. But more importantly, massage therapy can also help with many medical conditions. I like these spas particularly for massage, but all of them offer salon services such as nails, skin care, and hair styling. Get rid of those achy muscles with Western, deep tissue, and hot stone massage, or try energy work .......... you'll be glad you did! Heart and Soul Massage is my most favorite Cape Coral massage therapy spa and salon. You will find that they have the best prices for their services, all in a soothing and comfortable atmosphere. This day spa is family-owned and operated, and everyone is so friendly and helpful. They offer massage and energy work, skincare, waxing, manicures, hair salon services, and spa services and packages. I highly recommend Heart and Soul ....... the best massage therapist works there! Cre8 Salon and Spa does it all with hair salon services, massage and thermal body therapies, waxing, teeth whitening, skin care, and nails. Located in a contemporary and stylish salon, they also offer a large selection of the highest quality beauty products. Employees receive professional training to ensure that you receive the latest and best services. Enroll in their loyalty program to save money ...... find out about their 3 for $98 program. 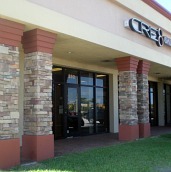 When considering Cape Coral salons, think of Cre8 for your next appointment, they will be very happy to help you! 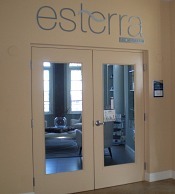 To really pamper yourself in the utmost of luxury, go to Esterra Spa and Salon. Located at The Resort at Marina Village with views of the water, Esterra Spa has regular and specialty massage, hair, skin, and nail services along with spa, bridal, and princess packages. The spa is just gorgeous ....... this is the place to go for special occasions, while you're staying at the resort, or to just treat yourself for whatever reason. You can make a day of it by lunching and shopping at the resort before or after your salon service. Try their hot stone massage! Whether you live here, are visiting, or are planning a wedding or party ......... get styling, get relaxing ....... make an appointment at one of these Cape Coral Spas.